DealsIn You MUST mention promo code VETERANS18 before checking out. 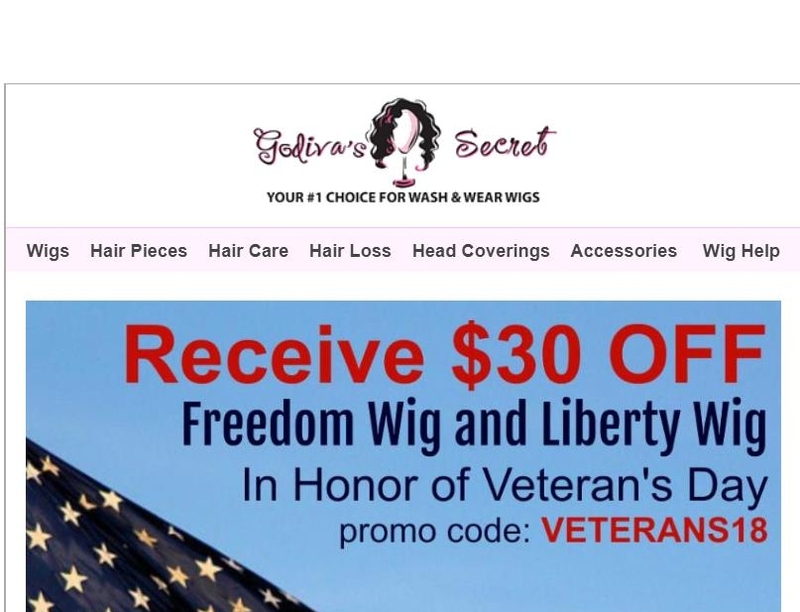 Valid for Stock and Special Order Freedom and Liberty wigs. Offer expires 11/13/18.